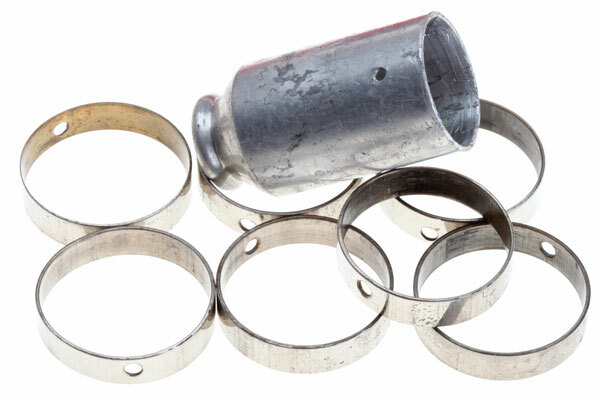 Standarte Rings & Poletop Cap: For NSDAP, DAF, NSBO, or SA. Seven nickle plated brass rings, 4.0 cm, light wear. 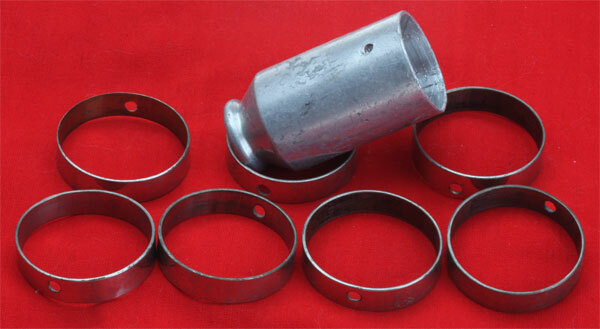 Poletop Cap: solid aluminum, 3 cm, threaded 6 mm hole for poletop insignia, medium wear. Almost impossible to find flag fittings.